SureCrete’s XS-PC12 high gloss concrete countertop sealer is a specially formulated two component, 59% solids hybrid solvent based polyurea coating designed for application over completed concrete surfaces. XS-PC12 provides a low VOC (400 g/L), UV stable, penetrating, film forming, color enhancing, and high gloss wear surface. The high performance clear top coat generates the premier balance of strength, flexibility, chemical and scratch resistance. 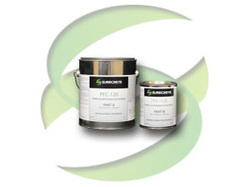 XS-PC12 is ideally suited for both commercial and residential settings applied upon concrete countertops, fireplace surrounds, shower panels, floor tiles, wall panels, and all Xtreme Series materials. Like some other sealers, XS-PC12 becomes food safe upon curing. It is stain resistant to most household chemicals and culinary items, and is heat resistant to 300°F (149°C). XS-PC12 is distinctive in its ability to be touched up or repaired.With it’s extremely high chemical and scratch resistance, XS-PC12 is an ideal sealer for use on casted concrete pieces where you’re looking for a gloss coating as well as some color enhancement. If you’re looking to protect your own personal precast kitchen countertop or bathroom vanity, XS-PC12 makes for a great sealing option. And since we all know that just about every kitchen and bath counter takes a pretty solid beating over the years, beibg able to touch up or repair this coating can be a huge benefit, especially if you take on the job yourself. XS-PC12 is also a great option for large commercial projects since it is fairly easy to apply but still provides all the wonderful qualities spoken of earlier. This can save quite a bit in labor costs as typically to seal a commercial bartop you would need multiple types of sealers to provide sufficient scratch and chemical resistance as well as color enhancement and a gloss finish. 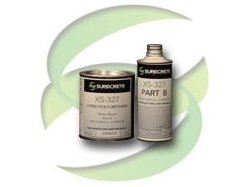 SureCrete’s XS-327 is a specially formulated two component, moisture-cure, high solids hybrid water based polyurethane coating designed for application over completed concrete surfaces. XS-327 is a penetrating, UV stable, minimal color enhancing sealer, available in both matte and gloss finishes. At 64% solids (varies upon reduction rate) and 25 g/L VOC this high performance clear top coat generates the premier balance of strength, flexibility, chemical and scratch resistance. XS-327 is ideally suited for both commercial and residential settings applied upon concrete countertops, fireplace surrounds, shower panels, floor tiles, wall panels, and all Xtreme Series products. Like some other sealers, XS-327 becomes food safe upon curing. It is stain resistant to most household chemicals and culinary items, and is heat resistant to 300°F (149°C). XS-327 is distinctive in its ability to be touched up or repaired.With such a low VOC rating at only 25 g/L, XS-327 is an amazing eco-friendly concrete coating product that, after curing, is completely food safe, making it an ideal sealer for use in both residential and commercial kitchens. Also, being a water-based sealer, XS-327 puts out little to no odor, making it an ideal coating for use in residential applications. XS-327’s scratch and abrasion resistance is also second to none, making it viable for a variety of surfaces.